We are honoured to be a part of the launch issue of Yum Gluten Free Magazine. A free digital resource for those following a gluten free lifestyle. 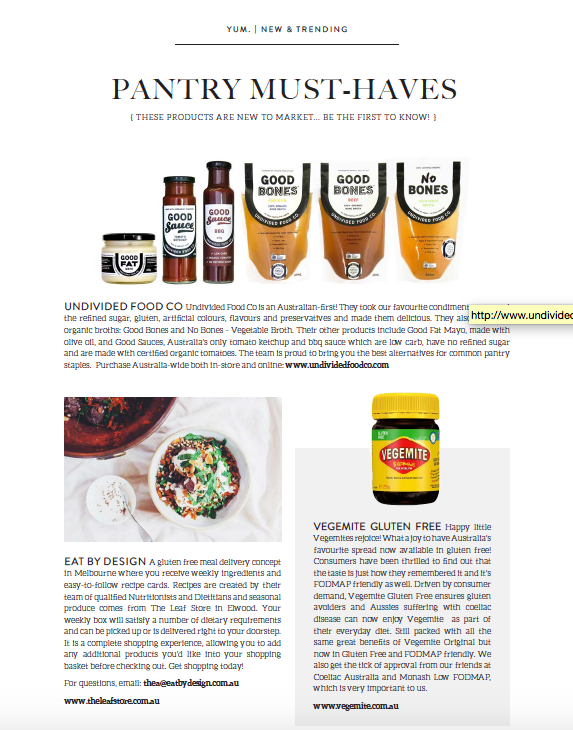 Packed with delicious recipes, pantry must haves and loads more, we highly recommend that you have a full read!